If you cannot find the new or used offshore rigs of any type, size or make that you are looking for, please send us an email to rigs@worldoils.com and we shall offer you. due to confidentiality agreements with the owners. We have some more rigs that are not published here. telling us which rig and what specifications you are interested in. 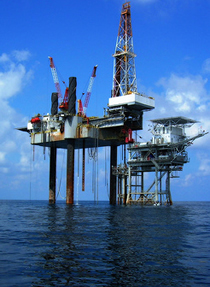 We have the following offshore rigs for sale. We apologise we cannot display the specifications of some of the rigs due to confidentiality agreements with the owners. We have some more rigs that are not published here. of some of the rigs due to confidentiality agreements with the owners. We have some more rigs that are not published here. (1) : 26 Apr 2019 : Petrobras to record $326 mln writedown due to rig dispute (oedigital.com). (2) : 26 Apr 2019 : Precision Drilling reports Q1 profit, revenue up from year ago... (globalnews.ca). (3) : 26 Apr 2019 : US total oil, natural gas rig count falls 10 on week to 1,066 (spglobal.com). (4) : 25 Apr 2019 : Lundin to use Leiv Eiriksson rig for North Sea wildcat wells (youroilandgasnews.com). (5) : 24 Apr 2019 : Doroud well goes online offshore Iran (offshore-mag.com). (6) : 24 Apr 2019 : Chevron lets contract for Alba Northern, Captain platforms in North Sea (ogj.com). (7) : 23 Apr 2019 : Sapura Energy secures work offshore Egypt, Malaysia, Indonesia (offshore-mag.com). 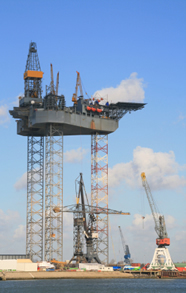 (8) : 23 Apr 2019 : Drilling rig contractors have strong first quarter, report finds (offshore-mag.com). (9) : 23 Apr 2019 : Velesto bags four contracts worth US$104.68m from Petronas... (theedgemarkets.com). (10) : 22 Apr 2019 : Petrobras extends BassDrill Beta contract (oedigital.com). (11) : 22 Apr 2019 : GDI in drilling services contract with NOC (oedigital.com). (12) : 21 Apr 2019 : U.S. oil drillers cut rigs for first week in three: Baker Hughes (brinkwire.com). (13) : 20 Apr 2019 : Number of U.S. active drilling rigs decreases this week (xinhuanet.com). (14) : 19 Apr 2019 : Saipem increases revenue thanks to new deals (energyvoice.com). (15) : 19 Apr 2019 : Gloria Offshore Oil Platform, drilling gas for 43 years, to be... (actmedia.eu). (16) : 19 Apr 2019 : US total oil, gas rig count falls by 14 on week to 1,076... (spglobal.com). (17) : 18 Apr 2019 : Keppel bags deals worth around £90m (energyvoice.com). (18) : 18 Apr 2019 : Gulf Drilling International sells Al-Doha jackup in a step to... (thepeninsulaqatar.com). (19) : 18 Apr 2019 : Murphy contracts Transocean ultra-deepwater drillship (offshore-mag.com). (20) : 17 Apr 2019 : Petro Matad signs rig contracts for 2019 drilling program... (youroilandgasnews.com). (21) : 16 Apr 2019 : Supreme Court to hear fight over standby wages for oil-rig workers (Reuters). (22) : 15 Apr 2019 : MHWirth bags Keppel FELS contract (oedigital.com). (23) : 15 Apr 2019 : First Chinese deep-water rig in the South China Sea... (chinaknowledge.com). 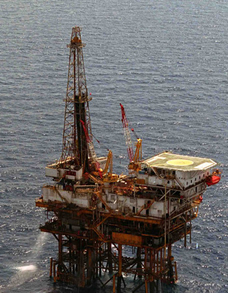 (24) : 15 Apr 2019 : Crude lower on rig count data, demand forecasts (spglobal.com). (25) : 14 Apr 2019 : Basin rig count up while U.S. count declines (oaoa.com). (26) : 13 Apr 2019 : Sapura Energy secures US$315 million new wins (youroilandgasnews.com). (27) : 13 Apr 2019 : Qatargas lets offshore jackets contract for North field (ogj.com). (28) : 13 Apr 2019 : U.S. drillers add oil rigs for second week in a row -Baker Hughes (Reuters). (29) : 12 Apr 2019 : Buru Energy on fast-track to start new drilling program... (proactiveinvestors.co.uk). (30) : 12 Apr 2019 : Controversial Chinese oil rig drills first well in east South China sea (theweek.in). (31) : 12 Apr 2019 : US oil, gas rig count drops by eight on week to 1,090... (spglobal.com). (32) : 11 Apr 2019 : West African offshore rig market remains subdued (offshore-mag.com). (33) : 10 Apr 2019 : Well-Safe purchases first rig (offshore-mag.com). (34) : 10 Apr 2019 : i3 Energy hires drilling rig for North Sea programme (offshore-technology.com). (35) : 9 Apr 2019 : Saipem wins US$200mn offshore drilling contracts (oilreviewmiddleeast.com). (36) : 8 Apr 2019 : Tender rig specialists to merge (oedigital.com). (37) : 8 Apr 2019 : Oil-rig count in US rises for first time in seven weeks (wallstreet.org). (38) : 6 Apr 2019 : Saipem signs long-term deals for two offshore rigs (offshore-mag.com). (39) : 6 Apr 2019 : Texas, Permian rig count up 8 (mrt.com). (40) : 6 Apr 2019 : Rig count spikes after weeks of declines (chron.com). (41) : 5 Apr 2019 : KCA Deutag secures US$54mn land drilling deals (oilreviewmiddleeast.com). (42) : 5 Apr 2019 : Inpex lets drilling rig contract for Ichthys field (ogj.com). (43) : 5 Apr 2019 : US oil and gas rig count rises 21 on week to 1,098... (spglobal.com). 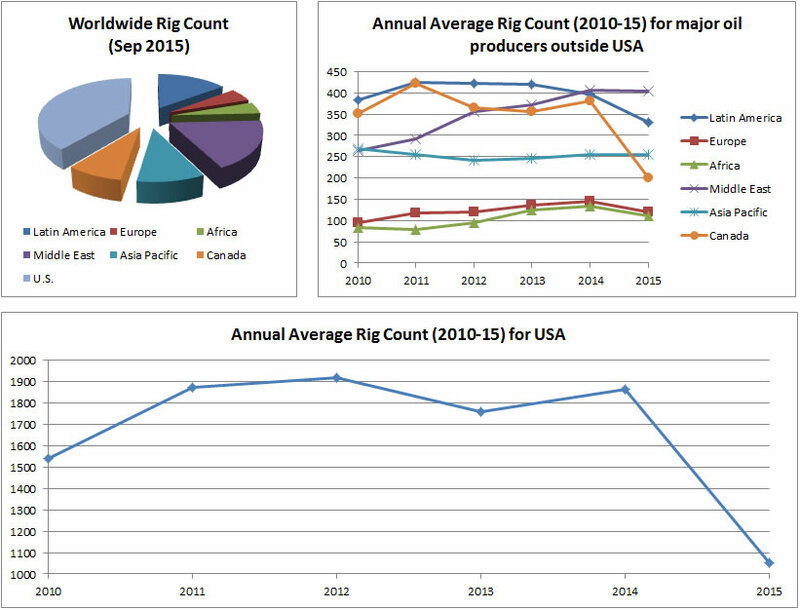 (44) : 4 Apr 2019 : Consultant finds 230 rigs retired since 2014 (offshore-mag.com). (45) : 4 Apr 2019 : Lukoil completes construction of seventh well in Caspian... (youroilandgasnews.com). (46) : 3 Apr 2019 : Borr Drilling buys cut-price jackup rig (splash247.com). (47) : 3 Apr 2019 : Jadestone resumes Stag drilling (oedigital.com). (48) : 2 Apr 2019 : Borr anticipates new jack-up rig will generate positive income (energyvoice.com). (49) : 2 Apr 2019 : Ensign awarded eight new rig contracts in Canada, the... (jwnenergy.com). (50) : 1 Apr 2019 : An oil rig is going to block Ibizas iconic sunset (mixmag.net).